Traveling between Bangkok to Chiang Mai is a common route for most backpackers in Thailand. The north of Thailand is completely different to the rest of the country and is a ‘must do’ when exploring this beautiful place. 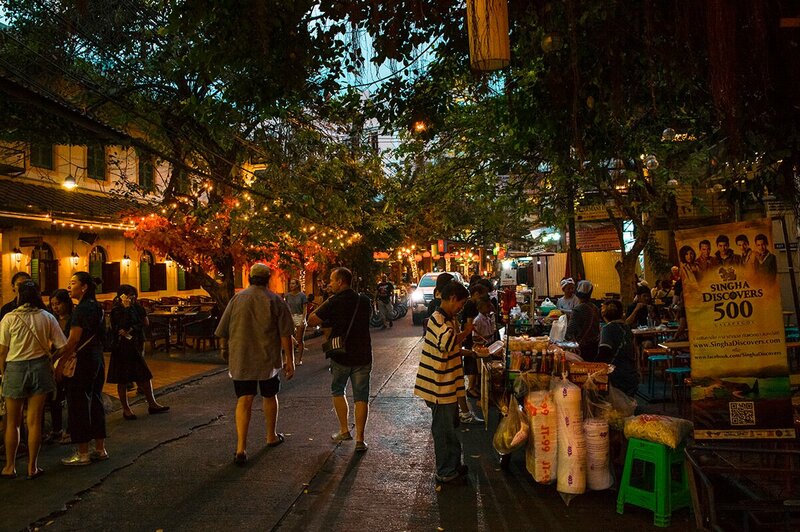 Bangkok is the main departure point to traveling to Chiang Mai as it is the main travel hub throughout Thailand, catering to many international flights. It is also a common arrival point when traveling overland from the neighboring Myanmar, Cambodia and even Vietnam. No matter if you are in Bangkok on a honeymoon, backpacking towards the beaches in Khao Sam Roi Yot or simply sightseeing you must take the overnight trip away to discover Chiang Mai! 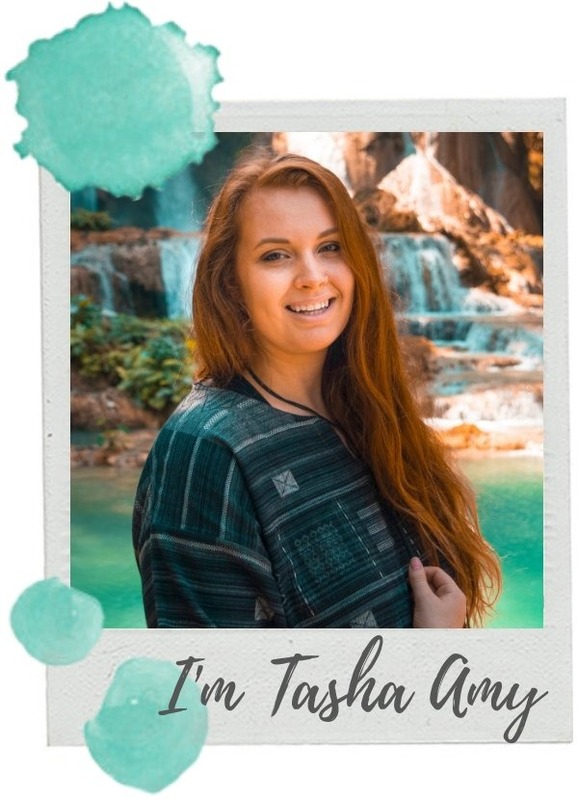 Though, getting from Bangkok to Chiang Mai can take quite a lot of time unless you are willing to fork out a money for a flight; something which us backpackers often can’t afford. There’s also the popular overnight train journey and an overnight bus between these two cities, though these options can take along time. So let’s break these down these different transport types to figure out what is best for you. So, taking a flight is probably the easiest and quickest option when traveling from Bangkok to Chiang Mai. There are plenty of daily flights departing from both Don Mueang Airport and Suvarnabhumi Airport. 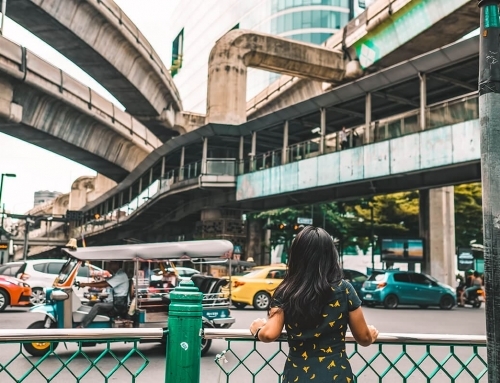 Though, unfortunately both these airports are quite far away from the popular backpacker hang out of Khao San Road, and when adding the cost to get to the airport, plus the cost for the flight itself, this can become a very expensive option. 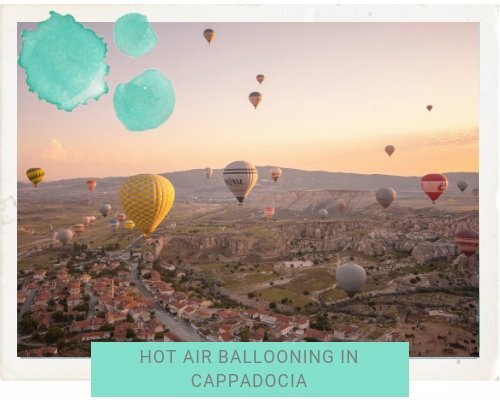 Saying that, if you are short on time flying between these two capitals is your best option. 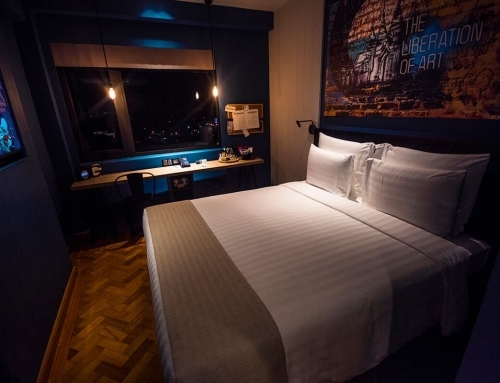 You will first need to get from the city to Don Mueang Airport which is approximately 30 kilometers from backpackers paradise of Khao San Road. Luckily this is easy enough by taking the bus. Alternatively you can also get a taxi, or even use the Grab mobile app. I recommend checking RometoRio for the latest public transport schedules. Don Mueang Airport is generally known as the budget airport in Bangkok. Therefore, as expected the budget airlines fly from here. This is perfect if you are traveling with minimal luggage and don’t mind a no frills service. Air Asia, Thai Lion Air and Nok Air are the main airline carriers which depart from Don Mueang Airport. 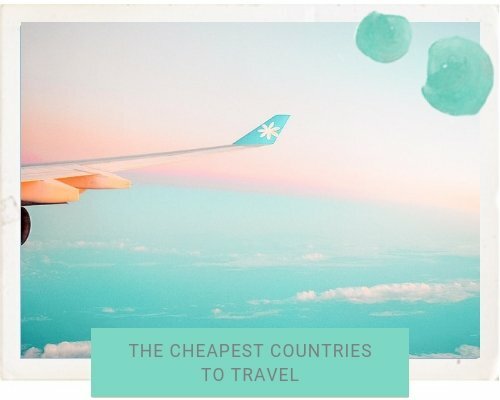 Flights can be found starting at around $50.00. Also, Thai Lion Air make as many as 10 return flights each day between Bangkok and Chiang Mai alone! Check the latest prices over on Skyscanner! 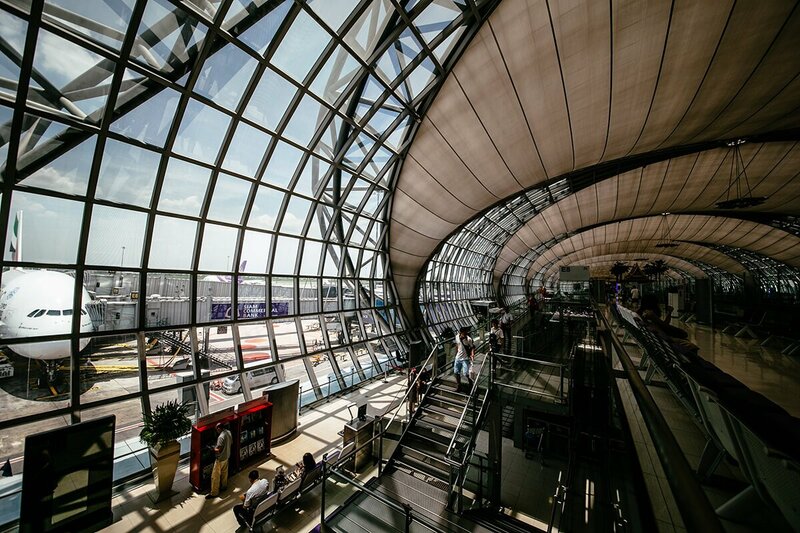 You will first need to get from where you are staying in Bangkok to Suvarnadhumi Airport. This again is approximately 30 kilometers from Khao San Road, though in a different direction. Its easy enough to get either a taxi, the rail link or a grab car to the airport from Khao San Road to Suvarnabhumi Airport. I recommend checking RometoRio for the latest public transport schedules. The well equipped Suvarnabhumi Airport is frankly the nicer out of the two. The national carrier Thai Airways, as well as Bangkok Air, which fly from here to Chiang Mai daily. It costs considerably more to fly from Suvarnadhumi Airport as the airlines here are a lot nicer, include snacks and baggage. Prices for flights from Bangkok to Chiang Mai departing Suvarnabhumi Airport start at around $100.00. Check the latest prices over on Skyscanner! Once you arrive at the main gateway to the beautiful Northern Thailand, Chiang Mai International Airport, you will need to get to your accommodation in the city center which is just 2 kilometers away. Many accommodation providers in the city include a free hotel transfer. It is best to email them prior to confirm your collection. Alternatively it is extremely easy to get a tuk tuk from the airport to the center for about 150 thb. 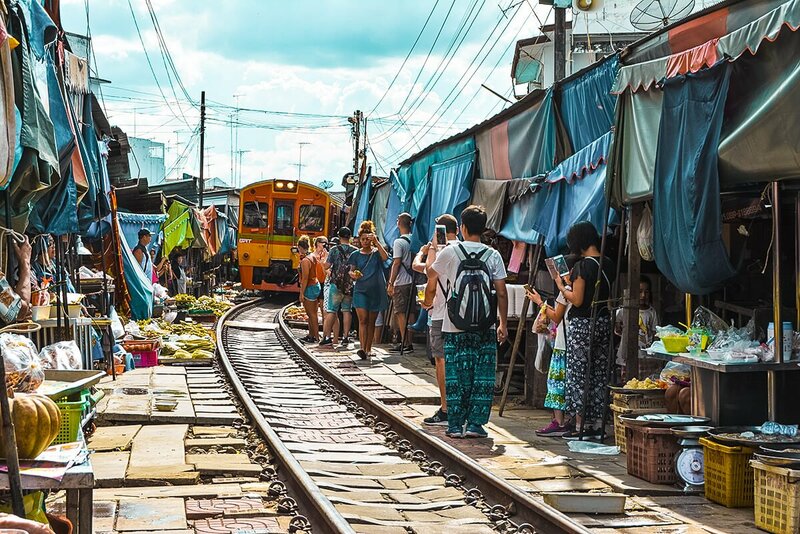 It seems like taking the overnight train from Bangkok to Chiang Mai is a right of passage when backpacking South East Asia. This notorious route will take somewhere between 13-14 hours, though they have been upgrading the services and getting new trains for this route (at the moment this seems to just be trains 9 & 10). 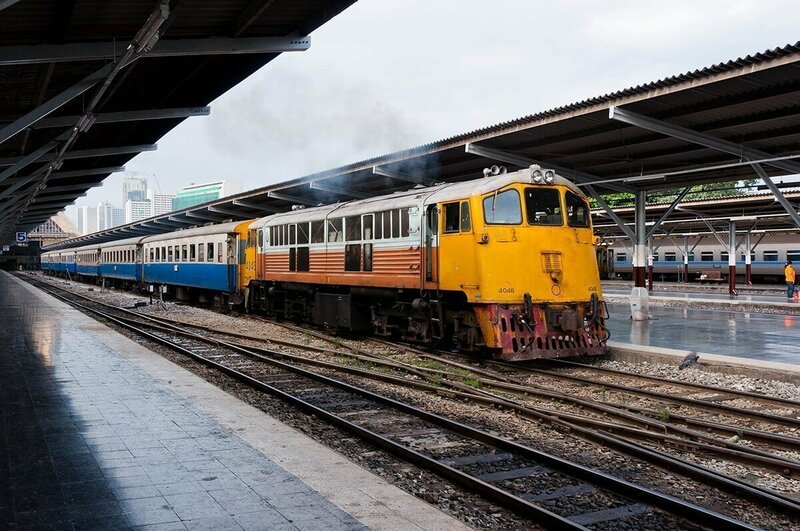 The trains depart from Hua Lamphong Station which is 4 kilometers from the popular Khao San Road. The easiest option here is to haggle for a quick tuk tuk ride which shouldn’t cost more than a couple dollars. Though, if you want to save the effort just download the Grab App for your phone and book a driver through that. Oftentimes using Grab can be the cheaper and easier option. You will want to book your train tickets in advance, especially if you are booking first class. This is an extremely popular route and often times can be sold out. I recommend using 12.Go Asia to book your ticket for a hassle free and trust worthy experience. You can even check out the certain train reviews before deciding which to book! Once in Chiang M the railway station is on Charoen Mueang Road, just across the river. It is cheap enough to hire a songthaew or tuk tuk here which will take you to your accommodation. 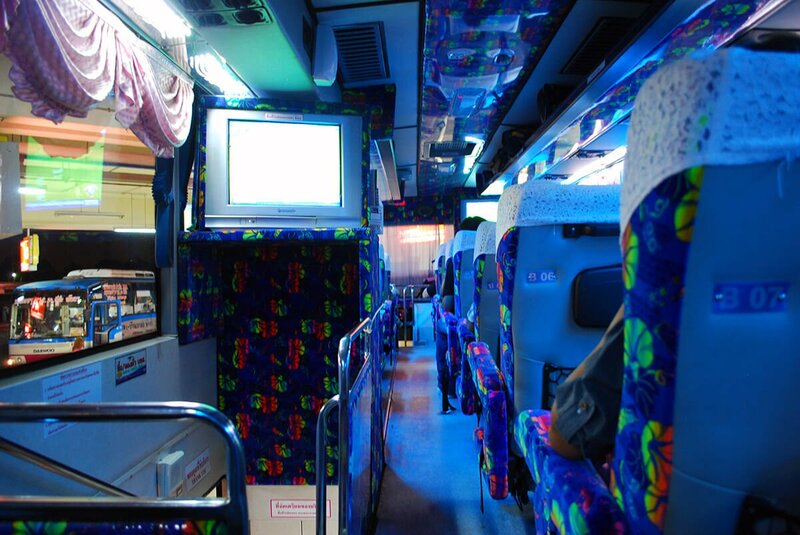 Another comfortable option is to take the bus when traveling from Bangkok to Chiang Mai. There are essentially two different bus options, either the government bus or the ‘VIP’ or deluxe bus. Tickets will range from $15.00 -$25.00 / 500 – 800 baht depending on the type of bus booked and the travel agency it is booked through. The government bus is the cheaper option, though will make stops in every township for passengers. It will also take longer with at least 12 hours for the journey. The so called ‘VIP’ buses are a more comfortable journey often direct with a couple food/toilet breaks along the way. They may provide snacks and water for the journey, as well as being more spacious. Just be aware of the fake ‘VIP’ bus tickets sold on Khao San Road by many travel agencies. Book through a reliable website such as 12.Go Asia where you can check reviews and find out what is included. I booked my bus ticket through 12.Go Asia and had a very comfortable journey. It was a well equipped bus with a toilet on board, we had a steward who gave everyone drinks and snacks. The ticket cost me $16.75 / 558 baht at the time. 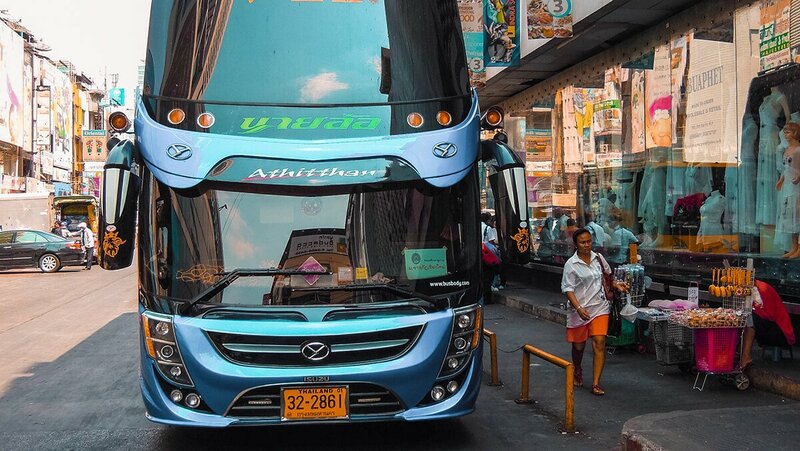 These buses often depart from the Mo Chit Bus Terminal, otherwise known as the Northern Terminal. To get here from Khao San Road it is best to use a taxi which should cost around $8.00, though be aware that oftentimes traffic in Bangkok can be horrible. If you are wanting to get a more exact estimate on the fare or cannot be bother haggling with the driver I recommend using the Grab mobile app. When you arrive in Chiang Mai at the Arcade Bus Station there will be plenty of public songthaews waiting near terminal 3. The fare should be 20 baht per person, though as a foreigner you will likely be charged more. For example I managed to barter them down to 50 baht for the journey to my hostel. Important tip: Be careful with your luggage on night buses all over South East Asia. It is a area notorious with theft where the bus assistant climbs into the luggage area during the night and goes through all the bags. Just make sure to make all important items such as cash, electronics, passports etc in your carry on bag. Also it always help using a padlock just as a deterrent in such situation. If you are looking for a bit of freedom and have some cash to burn a private taxi might be the option for you. 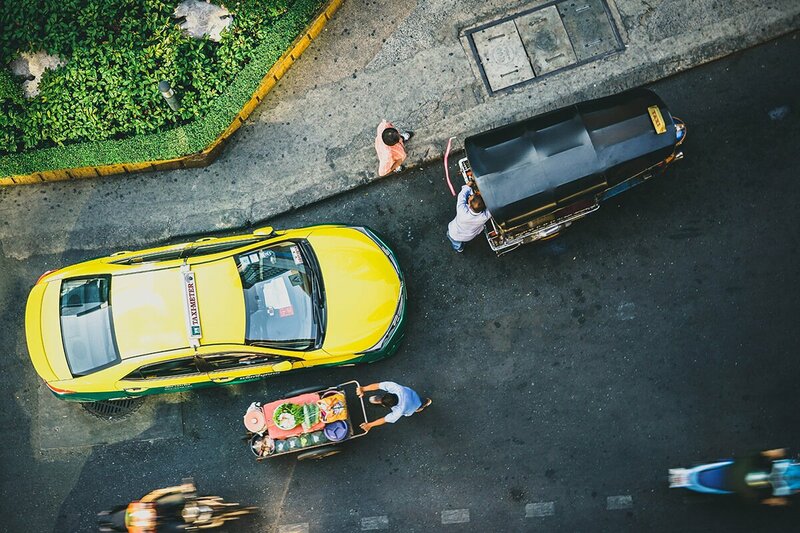 Allowing you to leave your hotel at any time of the day, taking a taxi from Bangkok to Chiang Mai will give you the chance to take in the gorgeous scenery and stop wherever you like. There are plenty of gas stations and convenience stores along the way with clean toilets. The journey between the two cities generally takes about 9 hours. A 9 seater Toyota Commuter taxi will cost about $400.00 to hire with a driver whilst a 4 seater will set you back around $300.00. Photo credit: “VIP Coach, Bangkok, Thailand” (CC BY 2.0) by DavidMcKelvey . “VIP Bus” (CC BY 2.0) by Mynameisharsha. “Overnight Train” (CC BY 2.0) by Masterplaan . “SRT 4048” (CC BY 2.0) by MyTrainPix . I did this train journey in 2013 and I’m so glad I did it that way! I did my research beforehand and decided that overland was the best way. The sunrise from the back of the train was to die for… most definitely go 1st class! Heaps of options!!! I have been to Suvarnabhumi airport and I don’t think I’m ever going to be able to pronounce it haha. The buses look nice! Good tip about padlocks!! Super comprehensive list! I have only taken the plane but thought the train would be nice to do one day to see more of the scenery. Taxi is something I wouldn’t have thought of! Thanks! I just discussed a trip to Chiang Mai with some friends yesterday and this guide comes in really handy. Thank you so much! Great overview! I think that with trains, it can always be a gamble not knowing who you share a cabin with, maybe they’ll be your new friend or just plain creeps or no bother at all. I definitely prefer flying anywhere longer than 5 hours by car/bus. Can’t wait to visit Chiang Mai one day! Good tip about the night thieves. We’ll be in SEA later this year. I wish I had taken a plane instead of the overnight train! 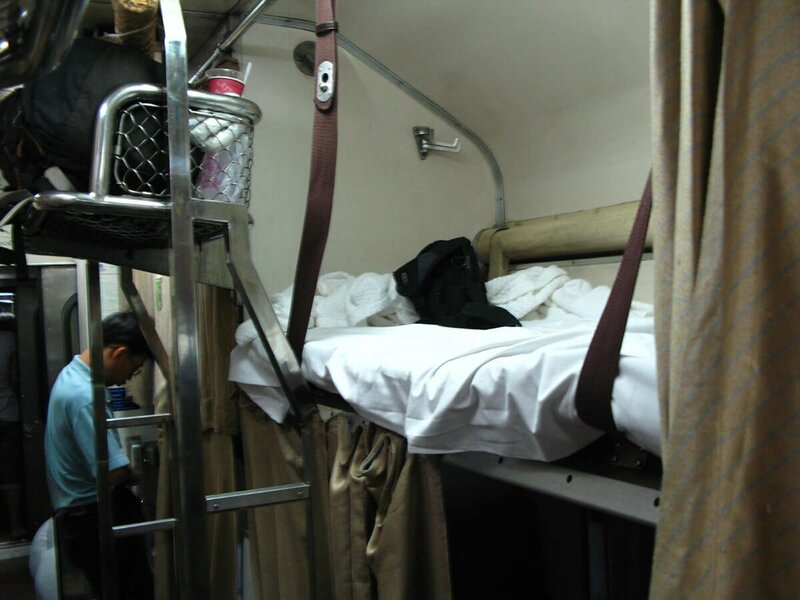 I am not a budget traveler, but I thought sleeping on a train would be fun. (I should note I have a bug phobia) Before we even left the station, a cockroach came crawling into my cabin. I didn’t sleep a wink. On the bright side, I was traveling solo and had the whole sleeping cabin to myself. Although, I wanted to sleep in the top bunk, away from the cockroaches, haha, and the attendant wouldn’t make up the top bed for me, insisting that I use the bottom bunk. It was a loooong night! 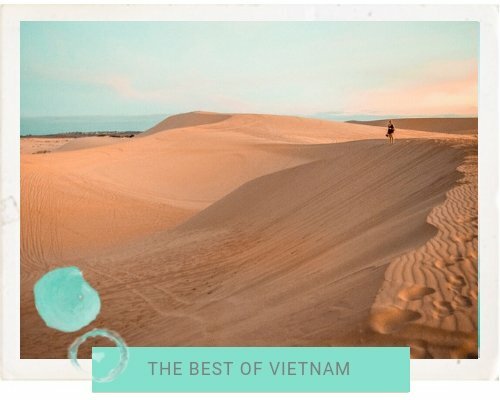 SUCH a useful post – we’re currently in Australia but keen to backpack Asia next and find the info quite overwhelming but this is so factual yet not bombarding with info! Your photography is stunning, making me want to go to Thailand even more now! I did not know trains were that cheap! $25 for a sleeper coach is a great deal. I am certainly gonna look up this option the next time I am in Bangkok. Very informative post. Wow, train prices can be just $25?! I had no idea though I wouldn’t want to spend 13-14 hours on a train. Thanks for doing the research on the various options for us. When we were traveling from Chiang Mai to Bangkok we took a night bus because train tickets were sold out. I wish we took a day train instead, perhaps could see a lit bit of a scenery. Great post! I had no idea how much taxi cost. $300 for that long drive is not bad at all. Yeah I’ve done the overnight bus as well. Though next time I’ll definitely be doing the train! I did the flight but probably because I was lazy and didn’t research the other options. I think the bus and train both are doable and would have saved me money. When I took the sleeper train just 6 years ago, we had to physically get to the station to buy tickets (first come first serve) – we didn’t have the luxury of buying tickets online! I’m glad it’s become more convenient these days 😉 Oh, the good ol’ days! I miss Thailand so much!! So many options! Who knew?! Love this post and your site in general. I’m a big fan of a girl chasing her dreams. This was a fun read. In 1999 I tried to take a tuk-tuk from Khao San Road to the airport. That didn’t work well at all! I also took the train to Chiang Mai and back. Fun to remember my adventures. I had no idea there were so many options! Lots of great tips and advice here.